Growing up in South Texas, sports were a huge factor in my daily life. From an early age, you were either a sports fan or you were constantly practicing. I was more feminine and sports were not the first thing that came to mind for me. But that didn’t stop my father from trying to get me into sports. His mentality was that all boys needed to be into sports, thus began years of being forced into a myriad of sports such as golf, baseball, fishing, hunting. But with each sport came a resistance and disbelief that I could be any good. When I was in middle school, I decided to try tennis. The short time that I went practices were difficult and isolating. I’d hear comments like “the girls practice is over there” and “I bet he’s only here to wear the skirts.” Soon, I just put away the tennis racquet I was so excited to buy and decided that sports weren’t for me. When you’re young, these thoughts that you will never be any good at something because of who you are can cripple you. But as unwelcoming as the sports world was to me when I was a kid, it still feels equally dismissive of me as a young adult. 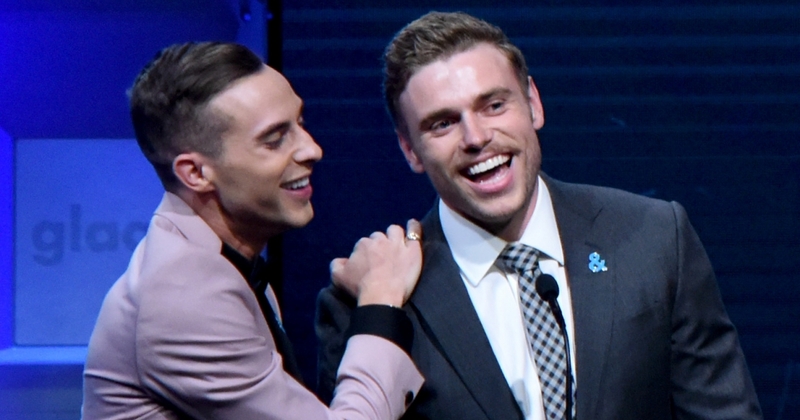 So when Adam Rippon and Gus Kenworthy took the world stage as out and proud LGBTQ athletes during the Olympics, I felt both a joy and sadness for what could have been. The hypermasculine sports environment is often seeped in traditionalism and isn’t always welcoming to LGBTQ athleticism and success. That’s why when an unapologetically queer person like Adam Rippon embraces himself in front of the world it inspires hope in queer kids who want to be the next big athlete. Adam Rippon earned a bronze in team event figure skating, making him the first out American man to win an Olympic medal. Openly gay speedskater Brittany Bowe also placed for America while at the 2018 games. These two were among the 15 out athletes at the Pyeongchang Games, which not only had the most out athletes ever, but also featured openly gay, American male athletes for the first time. History continued to be made at the Games. Eric Radford from Canada became the first openly gay man to win a gold medal in any competition, while Dutch bisexual speedskater Irene Wüst became the first speed skater to win 10 Olympic medals. Gus Kenworthy, who didn’t place this time, made headlines for kissing his boyfriend during primetime NBC coverage. Rippon and Kenworthy were embraced by the public throughout the games. Kenworthy, a 2014 silver medalist, was featured prominently in the promotional lead up to the games, while Rippon became a sensation, for his eclectic post-performance interviews and overall personality. He was lauded for his wonderful performances on the ice and captured many hearts in the interviews right after, including when he stated on NBC that he “can’t explain [the] witchcraft” of his performance. Even more so, Rippon never shied away from his personality and who he was. He wasn’t afraid to be feminine in front of the world. He didn’t hide away and tone himself down for the world. Rippon, on and off the ice, was someone who was unapologetically authentic while in the world spotlight. If this had been 12 years ago, I know that I would have been equally awestruck as the young queer kids who watched today. I’ve always been captivated by the Olympics, but it seemed like there wasn’t a place for me. Watching Adam Rippon and the other out athletes perform gave me a pride I’d never felt before—a level of enjoyment that you only really feel when you truly root for someone. By not being pushed out of the frame, Rippon and all the other out athletes showed that queer people have a place in sports. While queer people will still have to fight for equal opportunities, these small steps forward mean a lot for the youth who are just starting to walk. Mark Young is a GLAAD Campus Ambassador and senior at Del Mar College studying journalism. Mark founded the LGBTQ+ club Safe Space at his college.